We are pleased to offer the following programme of activities for those people who have formally registered to attend the FITCE Congress as a Companion. These activities include the social aspects of the Congress, provide a flavour of Manchester and Salford’s historical and cultural background and allow you to explore the region in a little more detail. 18:30 to 20:00 Pre-Congress Evening Reception For those people who have arrived early for the Congress we are pleased to offer an evening reception and opportunity to visit the University of Salford’s facilities at MediaCityUK. 09:30 to 10:30 Travel to the National Trust’s Quarry Bank Mill The early Industrial Revolution laid the foundations for Manchester to establish itself as a global city based upon the cotton industry which earned it the nickname of “Cottonopolis”. Quarry Bank Mill is one of Britain’s greatest industrial heritage sites, home to a complete industrial community established in 1784 when Samuel Greg established his cotton mill in the village of Styal. Powered by the water of the river Bollin and the toil of the workers, the Greg family business was part of a turning point in our history. 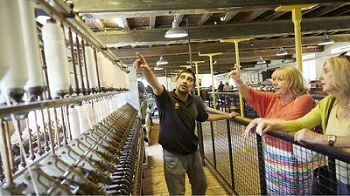 Further information about Quarry Bank Mill is available on the National Trust website. 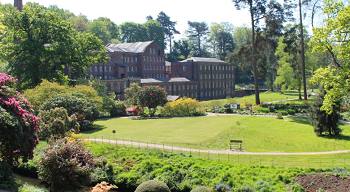 11:00 to 13:00 Guided tour of the Mill and Apprentice House Built in 1784, Quarry Bank is an example of an early, rural, cotton-spinning mill that was initially dependent on water power. Today it is one of the best preserved textile mills of the Industrial Revolution and stands as a museum of the cotton industry. The early Industrial Revolution wasn’t just powered by water and steam. It was powered by children. 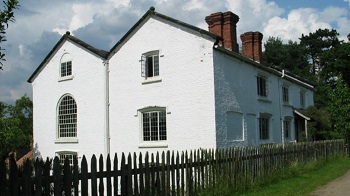 At Quarry Bank, child workers lived in the Apprentice House where they were given food and board in exchange for their labour. The tour shows where they lived, ate and slept from the 1790s right through to the end of the apprentice system in the 1840s. There is also an opportunity to explore the garden that the children tended after their long shifts in the cotton mill. 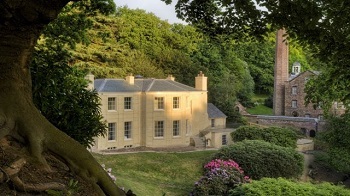 14:00 to 16:00 Visit Quarry Bank House, Gardens and Village Built as a family home and a haven from city life, Quarry Bank House is a stark contrast to the hustle and bustle of the cotton mill. Inside, you can enter the world of Hannah Greg and her family. Discover Hannah’s interest in education, self-improvement and debate, and find out about her wider social circle and elegant dinner parties. 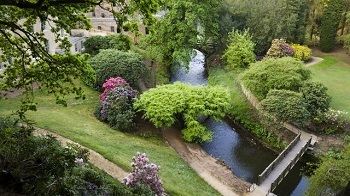 The gardens are full of drama with spectacular views. Paths climb up from the valley bottom passing by caves, cliffs, amazing trees and rhododendrons. In the kitchen garden the restored glasshouse and back sheds sparkle in the sunshine and grow an array of exotic fruits. 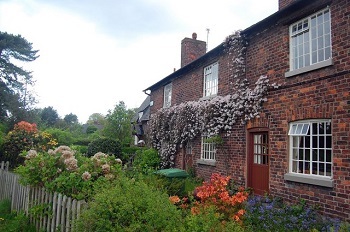 The beautiful village of Styal hides an industrial past. Families, young couples and former apprentices lived together in a tight-knit community of mill workers, farmers, bakers and shop owners. Together they faced the challenges of a new industrial world, and forged a community that continues to thrive today. The formal Congress Dinner will be served in the Compass Room. Please ensure that you have notified us of any special dietary requirements and please note that the vegetarian option needs to be pre-booked. 22:00 to 23:30 Networking and Departure Guests are welcome to remain in the Compass Room after the meal to socialise and network. A cash-bar is available. 11:00 to 11:30 Guided tour of the L.S. Lowry paintings L.S. 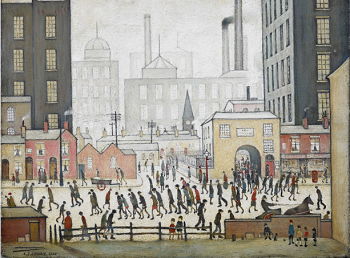 Lowry is one of Britain’s most recognisable artists being famous for painting scenes of life in the industrial districts of North West England in the mid-20th century. He developed a distinctive style of painting and is best known for his urban landscapes peopled with human figures often referred to as “matchstick men”. The Lowry is home to the world’s largest public collection of his paintings and drawings. Further information about L.S. Lowry and his paintings is available on The Lowry website. You can break your journey at any one of the stops and should you need it, your ticket is valid for two days. 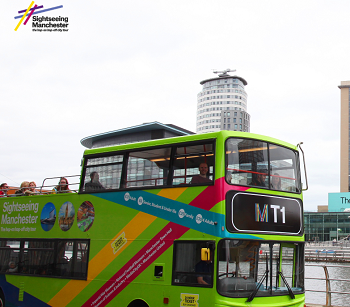 Further information about the bus tour, its route, times and stops is available on The Sightseeing Manchester website.